When going on a job interview, most jobseekers tend to mentally and emotionally prepare themselves for a battering, expecting something like the Spanish inquisition the moment they sit face to face with the interviewer. In all likelihood, they’d have gone through a long list of the possible questions that they will be asked, carefully crafting winning answers, and rehearsing them alone in front of the mirror, or with someone else. And then they head to the interview, ready to answer questions. The applicant is stumped. He had no questions. He was not prepared for it. He did not even think of asking any questions. So he said he had none. After all, isn’t that the best thing to do? Asking questions of his own may work against him, and he might lose his shot at landing the job if he appears to be too curious. Well, guess what, with that line of thinking, you may have just lost your opportunity to get that job anyway. In this guide, we explore 1) why to ask questions during the job interview and 2) the most helpful questions you should ask the interviewer. Just because you are the applicant and the other person seated across the table from you is the interviewer does not mean that he gets to ask all the questions, and you are there simply to answer them. A job interview is supposed to be a conversation, where the interview will probe into your thoughts and ideas, and get to know you. Therefore, you, too, should ask questions, and they should be the right questions, too. There are several reasons why you should ask questions during the interview. Asking questions will show the interviewer your level of interest and commitment in the company, specifically on getting that job in the company. If you do not ask any questions, this means that you really couldn’t care less about the place that you are aiming to work at, and your sole focus is to get a job that pays you money. Keep in mind that companies are interested to employ people who are just as, or even more, interested in them or the job opportunity presented to them. Asking questions is one way of showing how prepared you are. Employers appreciate job candidates that take the initiative to do their own research. If you ask the right questions, you can prove to them that you did your research, and you simply require some clarification on several key points. This gives them an insight on how you will be as an employee should they eventually hire you for the position. Asking questions will help the jobseeker gain confirmation whether he truly wants to work with the employer or not. It will be easier to make a decision in the event that he aces the job interview and the job is offered to him. It is possible that, during the course of the interview, by asking his own questions about the organization, the candidate may realize that his philosophies and values do not match that of the organization. When he sent in his resume to apply for the job, he may have had certain expectations about the job, the duties and responsibilities that come with it, and even of the work environment. When he asked questions to confirm those expectations, it turns out that they were not at all what he thought. As a result, he may decide not to pursue his application to the company. This is actually a good thing, since he just saved himself from experiencing job dissatisfaction if he gets employed in the company and his expectations are not met. Asking the interviewer questions will prove that you are truly “present” in that moment. Asking for clarifications will prove that you were listening and paying attention while he was talking. Many jobseekers dread, and even fear, job interviews so much, their anxiety distracts them, so they cannot concentrate. That is why, when the interviewer asks if he has any questions, he promptly answers “no”, just so the interview will be over, and he can get out of the room. Asking questions, especially the right ones, can help you ascertain whether your qualifications fit the requirements of the position. You may already have an idea whether your skills and qualifications make you a match for the position just be reading the job description in the posting or advertisement, but it does not hurt to gain confirmation from the interviewer. This will certainly boost your confidence further, allowing you to end the interview on a high and positive note. Q1 Why is this position available? You should try finding out why the job was vacant in the first place, since the answer may provide indications of possible problems or issues within the organization. Other jobseekers also use this question to find out what happened to the last person who held the position. If the position is new, and it was created to fill the need for additional manpower due to, say, expansion of business operations, then there is no problem. It is actually a very good sign, since it means that the organization is growing, and anyone would definitely want to work in a company that has a bright future. If the vacant position had a previous jobholder, you may follow it up with a question on why the former employee holding the job is no longer in that position. You would not have to worry if it is because the previous jobholder was promoted to a higher position, or was transferred to another department where his skills are more needed. If he was promoted, then it means that the position offers good opportunities for advancement. What if the interviewer tells you that the previous jobholder resigned and left the company? You may ask further on the reasons behind the resignation. It is possible that the employee had problems with the job, or with the people he worked with. Q2 Who does this position answer to? Who will be your boss or supervisor? This is essentially what you want to know. It is very important, since that will be the person who is likely to take you under his wing and train you, and he will also be the one to evaluate your performance. When asking this question, pose it with the assurance that you will be hired for the position. You are sending the message that you are looking forward to being a part of the organization, and you want to know who your supervisor will be, or who you will be answerable to. This will also show the interviewer how cognizant you are of authority and command responsibility, and that you have no problems being answerable or accountable to someone who is a superior. An employee that has difficulty taking orders from a supervisor or a boss is not someone that employers want in their organization. Q3 What can you tell me about the department/unit/team/people that I will be working with? You can continue your inquiry by asking for information about the team or department that you will be working with. How many people are in the company? In the department? In the unit or team where the job is? This will give you a rough idea of what you will be exposed to on a daily basis. If you are an introverted type, and are uncomfortable being around a lot of people for prolonged periods, and the interviewer tells you that you’ll practically be surrounded by large groups the whole time, then you may factor that into your decision on whether to work with the company or not. This will demonstrate an interest on the people with whom you will be closely working with on a daily or regular basis. Being curious about your co-workers will signify your acceptance of being a part of a group, or of being a team player, and that is what interviewers are looking for: employees who can be outstanding members of the organization. Just like question #2, phrase this question as if you are sure that you will get the job. Q4 What are the most important skills and experiences of the person who does this job? You are essentially probing on the skills and experiences that, in the eyes of the interviewer or employer, make an ideal candidate for the job you are applying for. This is where the interviewer will tell you exactly what qualifications and skills he is looking for in the person that will be hired to perform the functions of the job. Take mental notes of his answer. It is possible that he will mention details that you missed or were not able to incorporate into your answers when it was the interviewer asking you. If, among the information that he provides, you find an opportunity to make your case stronger, then do so. Your objective in asking this question is to position yourself to become that “ideal candidate” that they are looking for. Q5 Can you give me more details about the responsibilities of the job? This is your opportunity to ask details that were not included in the job description that was released when the vacancy was posted or advertised. You may ask about the kind or level of authority that comes with the position. This is a way for you to further assess whether you are, indeed, qualified for the job. Based on the job description, you may have decided that you are a match. However, some of the responsibilities that will be mentioned by the interviewer when you ask this question might cause you to do a double-take. In contrast, the answer of the interviewer may bolster your conviction that you are the best person for the job, and you can proceed to explaining why you think that way. Q6 How do people grow in this job? Ask about the opportunities for growth that the company can offer to its employees, and with the job you are applying for in particular. Do they encourage continuing education to their employees? Does the company offer professional training? You will accomplish two things in asking this question. First, you will be able to show the interviewer your thirst for knowledge, and how determined you are to continue to grow as a professional, and as a member of the organization. The second thing is that the answer to the question will give you an idea of the direction that your career is likely to take when you are employed in the company. If the interviewer is unable to readily answer you, it could warn you early that the company does not really put a high priority in providing such opportunities to its employees. Then you may start questioning yourself whether you really want to work with this company, or find another one that will look more kindly to your pursuit of professional growth. You may also make this question to learn how employees get promoted in the organization. The interviewer may provide you a rough picture how the company’s merit and promotion plan is implemented. This is how you get promoted! Q7 How do you define success in the organization? Another way to ask this question is “How is success in this job measured by the organization?” Both questions aim to gain an insight on what the business considers to be so important, it signifies the success of the organization. Businesses measure and define success in different ways. Stephen Haines named five key success measures, and they are financial viability (profitability), customer satisfaction, employee satisfaction, contribution to society and key operational results. John Crossman of Crossman & Company says that the answer will also be indicative of what the company expects from its employees. In effect, you, the candidate will know the company’s expectations of you once you get the job. Ask this question, and you are pretty much implying to the interviewer that you are interested to find out how you can make yourself a success when you are with the company, and how you can help in ensuring that the organization achieve success. Q8 What is the biggest problem or challenge that the organization is facing, and how may I help in solving it? Already, you are picturing yourself as a member of the organization, and you are already thinking of how you can contribute. That is good. Some may say that this is being too presumptuous, but most interviewers will look at it as you being forward-looking and focused. By doing so, you are creating a picture in the mind of the interviewer, and that is of you already in the company, in that position, performing its duties and responsibilities, and pulling your weight in helping out. You want him to look at you and think, “Oh, he is definitely going to be a great help if we hire him”. Q9 When and how is feedback given to employees? Employees that welcome feedback on their performance are employees that will, without a doubt, become great assets of the organization. This means that they pay attention to their performance, and how it is viewed by superiors and peers, and so they are more inclined to improve and become better and more productive. Inquire on how you will be measured, or how your performance will be rated or evaluated. Q10 What are the most challenging aspects of the job? You want to know what you will be in for when you are hired for the position. Ask about the biggest challenge, or the most challenging aspects if there are more than one or two, that will be encountered by the person in that position. This is another way of getting a better picture of the job. It is one thing to enumerate the duties and responsibilities of the job; it is another thing to name the biggest bumps or hurdles that will be faced by the jobholder. The answer of the interviewer will prepare you for when you are eventually hired because, on the first day, you have already been told what to expect. When the interviewer tells you what those challenges are, you have just been presented a wonderful opportunity to sell yourself better. You have to listen carefully to his answer, so you can better explain how you will tackle those challenges once you are hired. This is also a question in aid of your decision to pursue this application. If you are the type of person to thrive on challenges, and the interviewer tells you that the job does not have any major challenge and can be boring, you’d probably rethink accepting the job offer if presented to you. Q11 What are your future plans for this job? You want to have a job that has a future. You want to grow with the job, earn as much experience as you can. Therefore, you should ask about the future plans of the company for the job. Will the jobholder be made to handle more tasks or projects in the future? Will the job description be expanded? What if the interviewer tells you that they have no definite plans for the job? Then you may worry that you won’t have opportunities for career advancement, and end up working in uncertain conditions. This will, obviously, affect your decision-making when you are offered the job. Q12 What is your favorite part about working here? 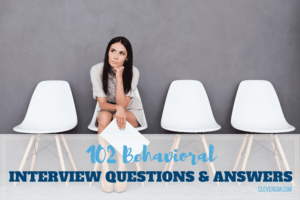 One of the mistakes that applicants make during the interview process is looking at the interviewer simply as a representative of the company, asking the requisite questions. They see the interviewer as someone they have to impress with their answers and convince to rate them positively so they will get the job. Often, they tend to forget that the interviewer may also be an employee of the company, or have been working in the organization for a long time. Obviously, this question is applicable only when the interviewer is a part of the organization and not an outside recruiter hired by the company to carry out the recruitment process. If you are not sure, ask the interviewer about it. Once you have confirmed that the interviewer is also an employee, or even a member of senior management, then you can proceed to asking him what he enjoys the most about working in that company. His answer will help you find out if the company is, indeed, somewhere that you would want to work. Watch the expression on his face when he answers. If there is the smallest hint of hesitation, it could mean that he is not entirely happy working in the company. If you notice that he has a hard time coming up with an answer, then you’d probably want to reconsider your decision to want to work there. The interviewer will definitely appreciate that you have taken an interest in him on a personal level. He is also likely to see this as an indication that you will be able to easily get along with other co-workers. Q13 Is there any reason I may not be a good fit for the job? At this point in the recruitment process, you may be a bundle of nerves and trying not to show it. You don’t know your current ranking among the pool of applicants, and you are not entirely sure whether you are the frontrunner, or even in the running, for the position. Therefore, you should ask this question, instead of asking outright if you have a fighting chance at landing the job. Basically, you would want to know how your background measures up to the requirements of the position. Admittedly, it takes a lot of grit and balls to come right out and ask the interviewer if he has any apprehensions or hesitations about your qualifications, or why he may think that you are not the right candidate for the position. However, when delivered correctly, with courtesy and just the right amount of sincere curiosity, you have greater chances of scoring high in the interviewer’s books. This demonstrates a strong character, and shows how confident you are in what you bring to the table. If you ask this question, you are potentially asking the interviewer to point out your flaws and shortcomings. Again, this is another brave thing to do, to be able to sit there and listen as the interviewer tells you why you may fall short of what they want. You should also take this opportunity to clear up misunderstandings or misconceptions, just in case his hesitation stems from vague information written on your resume. Whatever you do, however, do not be hostile or antagonistic. Take whatever he has to say in stride, and show how professional you can be, even in the face of criticism. Q14 What is the next step in the recruiting process? Smart interviewees will pose this as one of their last questions, and its purpose is to show the interviewer that they want to know where to go from here. They want to move the recruitment process along so they can be hired immediately and get to work right away. But frame the question in such a way that does not sound like you are bulldozing the interviewer into rushing or moving things forward. If you’re lucky, the interviewer may also give you an idea how many other candidates are in the running for the same position. Q15 If I don’t hear from you within the period you indicated, may I call you? At the end of the interview, the interviewer may tell you when he will get in touch with you, and how. If he doesn’t, or he does but you find the information lacking, do not hesitate to ask. For assurance, ask him if you may be the one to contact him when the period he specified lapses without you hearing anything from him. Save yourself from stressing out, sitting beside the phone, waiting for that call telling you that you will move on to the next step in the recruitment process. The waiting period is always the hard part, and it wastes a lot of time. So ask right out if you can follow up, instead of doing the waiting game for an indefinite period of time. There is nothing wrong with asking this question. In fact, you will be demonstrating how sincere you are in your interest in being a part of the organization. Just make sure you ask politely, without sounding pushy and distrustful. Of course, if he agrees, ask for his contact details. One thing that you should never forget when interviewing for jobs is that the interviewer expects you to ask questions. You may think that it is safer not to ask any questions, but you may just be unwittingly throwing a great opportunity away.